"NORDIC MUSIC & CULTURE ADVENTURE"
Lingua Musica travellers have requested a repeat tour in this wonderful northern region. We await further notification of performance details for the NEW SEASON commencing 26 September 2019 in Stockholm. TO REGISTER YOUR INTEREST, and request further details please email lingmus@alphalink.com.au, including your name, address and contact details. This tour will be viable with ten participants. A major feature of this tour will be lectures and private performances by two internationally renowned artists in Stockholm and Oslo ... in addition to the major performances in the major music houses of all cities. 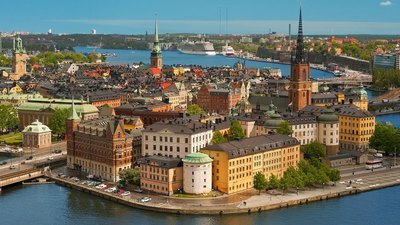 Visits to historic Scandinavian cities, Stockholm, Oslo and Bergen, with their accompanying cutting edge modernity and high on travellers' lists, make for a very different and exciting tour programme. Music, Art, Architecture, History, incredible train journeys, taking in breathtaking scenery - mountains, fjords, vibrant folkloric content and variety! All thirty of LINGUA MUSICA's annual tours have been outstanding. And this 2019 one, by special request, promises to be special indeed. - Bergen Hotel/ Airport transfer. International flights and airport transfers at the commencement and conclusion of the Tour apart from as stated in the Itinerary/ Tour Inclusions are NOT included in this tour. Your travel agent will provide assistance with your International Flights. Stockholm is noted for its musical importance. The Royal Swedish Opera House is just over the bridge from the Royal Palace. 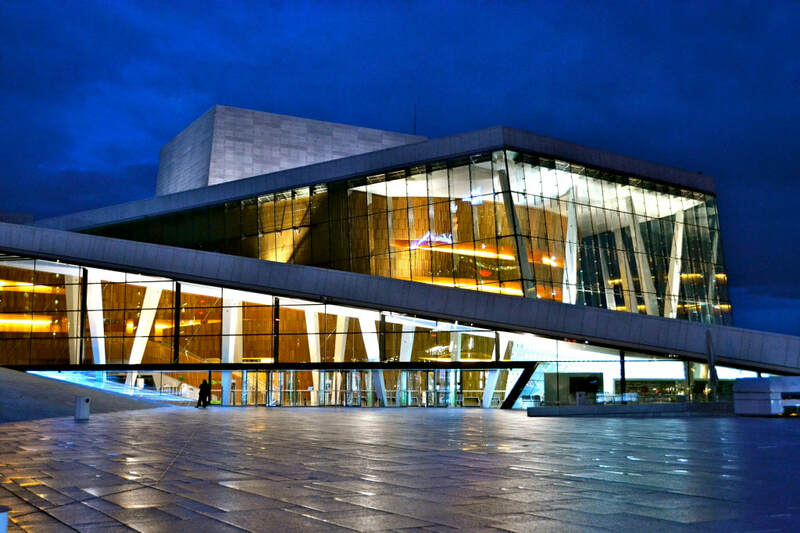 The Opera Company was founded by King Gustav 3rd with its first performance in 1773. Famous names in Swedish music include Jussi Bjorling (1911-1960), very much part of the Golden Age of Opera, (like Maria Callas), Anders Nilsson, Jenny Lind, Birgit Nilsson, Anne Sofie von Otter, renowned among other roles, for her interpretation Oktavia of Der Rosenkavalier fame. There is another musical MUST here and that is DROTTINGHOLM. Actually another Royal residence. 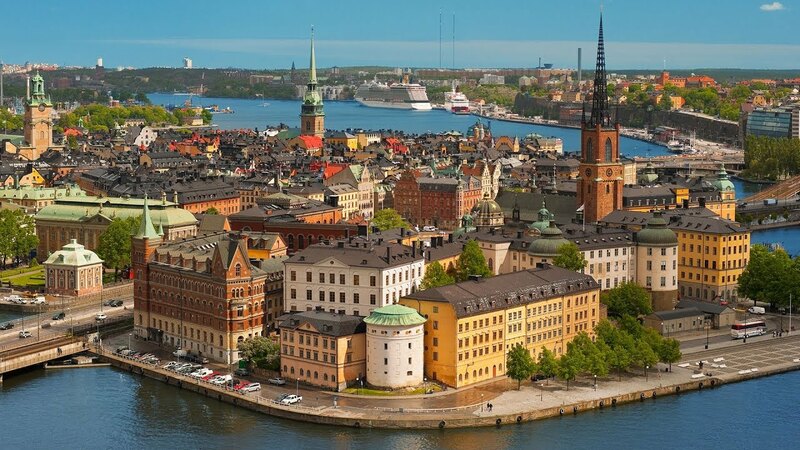 Designated as a Royal Heritage site by UNESCO, it is a mere 20 min drive from central Stockholm, and famous for its delightful operatic and other musical performances. 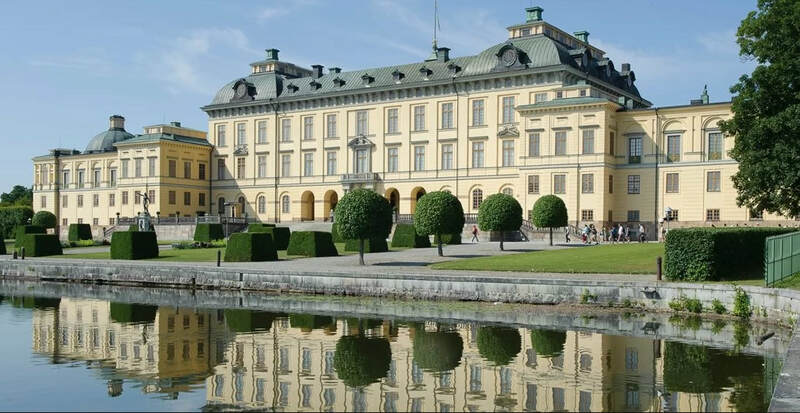 Drottingholm Palace is on the island of Lovon, which has been inhabited since 5th century BC. Stockholm's famous playwright, Augustus Strindberg (1849-1912) whose works include, "Miss Julie" and "The Father", is a major focus in both Stockholm and Oslo. Time permitting we will visit the Strindberg Museum. Today we enjoy an excursion to the wonderful University City of UPPSALA, 38 minutes from the capital, and an especially interesting and historic city whose lovely Gothic cathedral features two important organs. There are many organ concerts here and hopefully we will attend one. There are so many significant museums in Uppsala and just outside the city centre, we find the extensive Burial Mounds, the site where the kingdom of Sweden was founded ... and rich in archaeological remains. Interesting walking opportunities here remembering the Vikings. We plan also to include delightful SIGTUNA, the oldest town in Sweden, not far away. A swift transfer to the Main Railway Station, and a First Class high speed train journey to OSLO. Our centrally located hotel will be the delightful and centrally located Hotel Bristol. After an excellent guided tour of central Oslo, we will visit the famous Munch Museum (and yes, you will get to see "The Scream"). After taking time out for a light lunch we will visit a particularly famous sculpture exhibition, the famous Vigeland Sculpture Park, where you will be overwhelmed by the depictions of life in all its variety, from babyhood, lithesome teenage years, maturity and old age. It is a very moving experience. Naturally it is too early for details of music performances. But be assured, you will definitely visit the amazing Oslo Opera House, designed by Snohetta. The structure contains 1,100 rooms. The main auditorium seats 1,364 visitors and there are also two additional large performance spaces. The angled exterior, encased in marble from Carrera, Italy and white granite, appears to incredibly rise from out of the water. Prior to embarking on the opera house project, Snohetta had won the highly esteemed Mies van der Rohe award in 2009. In 2012 young violinist, Catharina Chen, was appointed the youngest Concertmaster of the Norwegian Opera and Ballet Orchestra. Henrik Ibsen (1828-1906), one of the founders of Modernism in theatre, is ranked as the most famous Norwegian dramatist of all time. This so called Father of Realism was responsible for "Peer Gynt", "An Enemy of the People", "The Doll's House" and "Hedda Gabler". We will include a visit to the Ibsen Museum during our time in Oslo as well as arranging a private performance. It is as yet too early for exact timing details. Your free day for your own further exploration and discovery. You may wish to visit the Viking Ship Museum, Kon-Toki Museum and many other sites in this vibrant and interesting capital, or just stroll and relax in the many beautiful gardens. A final dinner and another major performance to complete our visit to this great international Norwegian capital. There are four departures each day of the famous Bergensbanen, said to be the most beautiful train trip in Europe. This magnificent route connects the two main cities of Norway, but it is so much more than that, as you will discover as it wends its way to Bergen, following the course of valleys and rivers and climbing high into the Norwegian mountain ranges. We will probably opt for a late morning departure. A First Class trip of 6 1/2 hours and pre-ordered lunch will be served. Relax and enjoy the incredible views, a glimpse of an occasional typical Norwegian red timber house before we climb too high. Views are equally superb from both sides and it is not unusual for passengers to cross form one side of the carriage to the other in order to take advantage of this. On arrival in BERGEN a swift transfer to our chosen hotel, the Radisson Blu Royal, which looks across the water to nearby BRYGGEN, the colourful village dating back to the twelfth century. You will need a rest this evening ... but dinner will be available in the hotel restaurant if and when needed. OR you may opt for room service. Our day commences with a guided tour of delightful BRYGGEN and its connections with the German Hanseatic League which set up a trading post here in 1360. It is such a colourful fascinating village of winding narrow streets, pastel houses, museums and cafes galore. Your afternoon will be free for your own exploration of BERGEN ... but accompanied by maps and information. In the evening dinner will be served and hopefully a concert in GRIEGHALLE (too early for details). The Bergen Orchestra is actually the oldest in Europe and "our own" Simone Young was its conductor for a number of years. Today you will embark on the very famous "Norway in a Nutshell" full day tour, by boat along the fjords, lunch at a charming fjord-side restaurant, climbing breathtaking mountains by bus and finally, back to Bergen on the famous FLAM RAILWAY ... the steepest of its kind in the world. The visions of spectacular waterfalls will remain with you forever. Your evening will be totally free after this exhausting but memorable day. This evening, back in Bergen, we will enjoy a Farewell Dinner. There is sure to be a lot to remember and share. Your totally free day. 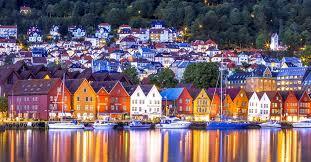 During our time in Bergen, you will no doubt have noted several further explorations you wish to pursue. Now is your chance, and probably also, that final shopping etc before leaving Norway. This beautiful 2019 Scandinavian tour ends after breakfast. A transfer to Bergen Airport will be provided and your travel agent will assist you with return or onward travel arrangements.